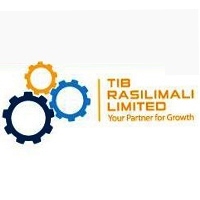 TIB RASILIMALI LIMITED (formerly known as RASILIMALI LIMITED) is a wholly owned subsidiary of Tanzania Development Bank Limited. It is a Securities Brokerage and Advisory firm licensed by the Capital Markets and Securities Authority of Tanzania and a licensed member of the Dar es Salaam Stock exchange. Nature and Scope The Finance officer will report to Head of Finance and Administration. He/she will be responsible for ensuring compliance to statutory and regulatory requirements as well as advising management on measures to be taken to improve financial performance. The candidate will be required to record, control and manage day to day financial transactions to help the company's management to be fully aware of its financial condition. 1. Daily preparation of payment vouchers for staff and clients payment. 2. Input all transactions into the system and maintain files of receipts and payment vouchers. 3. Update account receivables and payables. 4. Perform internal accounts reconciliation, bank reconciliation for all bank accounts and intercompany reconciliation. 5. Maintenance of TIB Rasilimali's fixed asset register. 6. Preparation and issuing invoices to clients. 7. Preparation and issuing Local Purchasing Order (LPO) to Suppliers. 8. Preparation and submission of all statutory payments whenever they fall due. 9. Adhere to existing working practices, methods, procedures. 10. Undertake relevant training and professional development as and when required. 11. Adhere to organizational financial policies and procedures. 12. Being a key point of contact for other departments on financial and accounting matters. 13. Provide assistance to stakeholders, clients and customers as needed. 14. Report any troubling discoveries or suspicion wrongdoing to the proper authorities. 15. Suggest changes or improvements to increase accuracy, efficiency and cost reduction. 16. Undertake any other reasonable duties as may be assigned by supervisor. 1. Bachelor degree in Finance, Accounting or its equivalent from recognized institution. 2. At least 6 months work experience in a similar role. 3. Working experience of capital markets products. 4. Good understanding of accounting and financial reporting principles and practices. 5. Strong knowledge of MS Office- MS Excel, Ms Word, PowerPoint and Outlook. 6. Good knowledge of written and spoken English. 7. Financial analytical and report writing skills. 8. Highly organized, detailed oriented, sound judgment, strong interpersonal skills. 9. Should also have excellent organizational skills and be able to handle time sensitive tasks. • Contact address including telephone number(s) and/or email address(s) if available.